Theplas and Parthas for Breakfast! 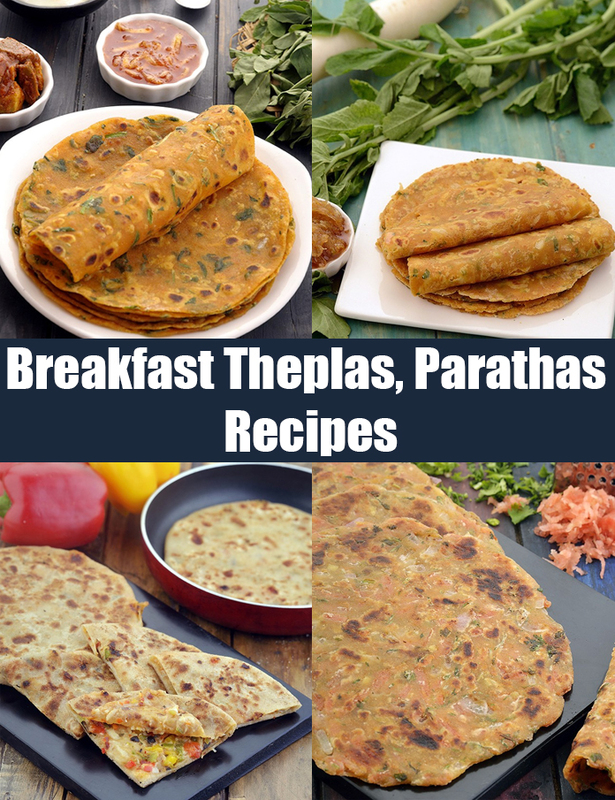 For many communities, breakfast is synonymous with theplas and parathas! Indeed, these perfectly fit the requirements of a breakfast, and are ideal to have on days when you have a little time to spare to roll and cook them. This section gives you a whole range of options like Paneer Paratha and Rajma Cheese Parathas , Aloo Paratha but the story does not end there. Thepla and Paratha options are limited only by your imagination, so you can use these ideas to make many more recipes too! Bajra is the staple diet in many parts of north-western india, where the locals enjoys it with garlic chutney, jaggery and homemade butter. Jowar flour replaces wheat flour in this garlic infused traditional north indian breakfast delicacy. Make a filling mini meal by accompanying the parathas with fresh curds.